In Beethoven’s Triple Concerto, a piano trio provides the soloists – a first in the history of music. 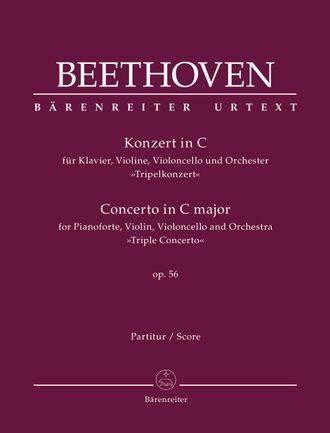 Beethoven’s treatment of the trio is pioneering: he does not apply a typical piano trio setting in contrast to the orchestra, but varies his treatment of the solo parts, allowing each instrument to play alone with the orchestra (particularly the cello), using two solo instruments together in ever new combinations, and finally bringing together all three instruments with the orchestra. Beethoven weaves a complex web – the orchestral, piano, violin and cello voices interplaying and entwining – and he produces a true masterpiece. 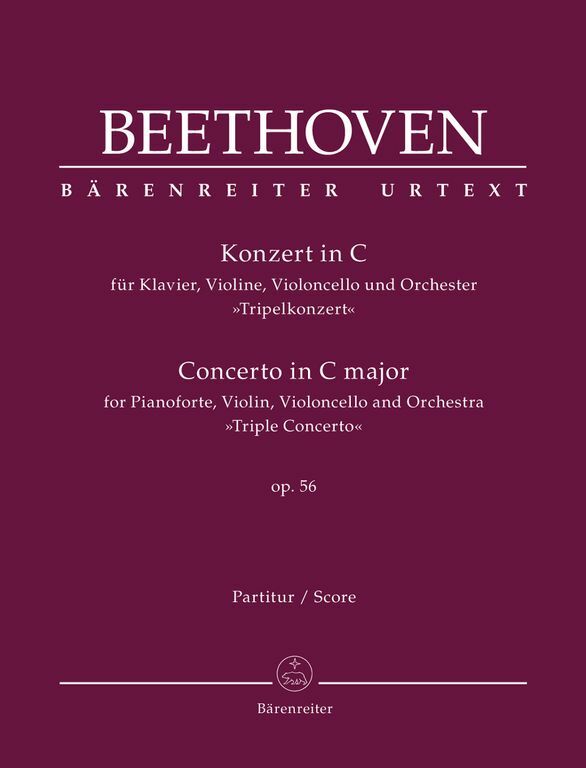 Bärenreiter’s new Urtext edition of Beethoven’s Triple Concerto is a completely fresh revision of this warm and beautiful showpiece. Errors abounded in all previous editions, but with the assistance of three newly-discovered sources, editor Jonathan Del Mar has cleaned up the text, corrected wrong notes and rhythms and (for the first time since 1807) presented the work in a way that a musician of Beethoven’s day might have recognized, with all necessary information for directing the piece included in the solo piano part.